Honeywell Process Solutions (HPS) have launched a new gas metering solution that provides easy-to-use health monitoring of midstream metering systems for operations, maintenance and leadership teams. Honeywell Connected Plant Measurement IQ for Gas enhances the metering operation’s reliability and safety while cutting costs by massively reducing the need for site visits. With advanced diagnostics, at-a-glance dashboards and intelligence analytics, Measurement IQ enables operators to increase metering reliability in the face of skills shortages, dispersed operations and a complex hydrocarbon mix. Users can detect and correct costly mismeasurement, anticipate equipment failure, reduce gas losses and eliminate unnecessary maintenance. Measurement IQ connects assets across all enterprise metering stations and captures the data in Honeywell’s secure data center. 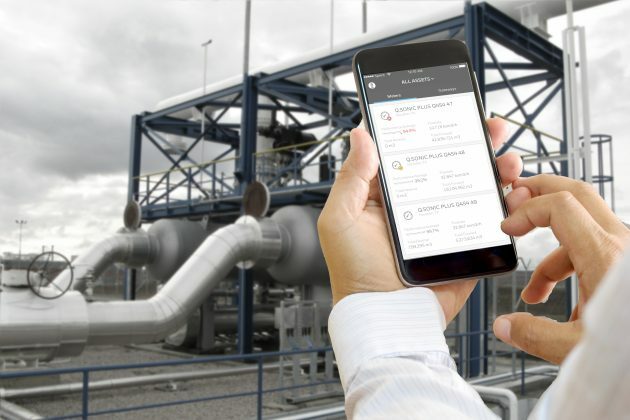 Users can connect on any device with a web browser and receive customizable alerts on their mobile phone with Honeywell’s Experion® App. The Connected Plant solution monitors for significant changes in not just the flow meter, but also the process and environment in which it operates. It anticipates problems and enables users to move from time-based or risk-based recalibration of meters to condition-based monitoring with calibrations only when required. Historical diagnostic data can be used as a basis to extend calibration intervals specified by regulatory authorities. Customers can save up to $50,000 a year if recalibration intervals are extended from one to two years.